Just before Christmas, I visited Matt’s Gallery, in London, for work. It was next door to the Ragged School Museum. I arrived early so I meandered around, taking in the environs, which is when I noticed that the museum building was made of yellow bricks. Yellow bricks!! A lovely, soft yellow, pitted with corrosion and age. Some years ago, I developed and delivered a project with a teacher from High Spen primary school and a textile artist. The aim of the project was to help the teacher’s class look at their own village and find evidence of its past in the built environment, historic maps and photographs. All the evidence they gathered would be incorporated into a textile wall hanging, which the children made under the artist’s guidance. This turned into a full scheme of work and, to research it, I spent quite a lot of time wandering around the village. It was during this time that I became obsessed with brickwork… High Spen is a small, ex-mining village on the western outskirts of Gateshead. The pit that was once the heart of the village is long gone replaced only by an empty field. 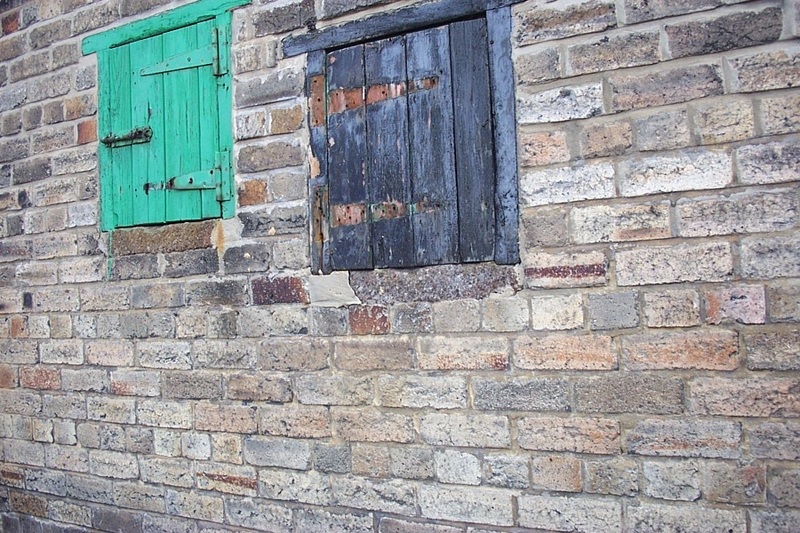 Yet the historical development of the village could be traced, in part, through the brickwork. Heavy, grey stones revealed the foundations of the bridge that once held the railway that, in turn, carried the coal away. Buttery stone also characterised the pub and farm-houses that were probably the earliest incarnation of the village. 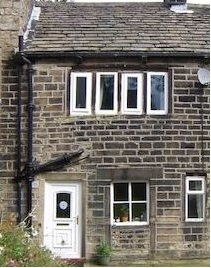 Miners’ cottages were built in a darker black and beige brick than red brick of more recent buildings. Building materials provide the dominant aesthetic of an urban or nearly urban environment. Even though my hometown is predominantly red brick, the darker stones of the Dark Peaks area feel like an announcement of home. This is probably because of being dragged along many, many walks by my mother. My one and only visit to Aberdeen was dominated by a cold, pale grey stone of the buildings from its heyday. It was a cold, wet day and they seemed miserable to me though I am assured that they are resplendent in the summer sun. In contrast, walking through London is like walking through some randomised pick and mix of architectural incoherence. Heath et al. (2010) might say that it only matters if it shapes the actions of people in a given moment: “Rather than treat the immediate physical environment as an overarching influence on action, examine the ways in which participants orient to and constitute features of that environment. The analysis should delineate the resources used to accomplish action – it is critical to consider how a range of material and bodily resources might bear upon the action, if only to provide explicit grounds to discount their relevance.” At this point the authors are talking about the role of objects in human interaction, so I’m stretching their point a little. But, unless we can spot that element of the environment impinging on the action of that moment then we should be prepared to discount its significance. This entry was posted in environment, identity, memory, Perception. Bookmark the permalink.